Dr. Patel is board-certified by the American Board of Psychiatry and Neurology. He has been with Georgia Behavioral Professionals since 2006. Piyush Patel also treats adults who need treatment for mood disorders, depression, bipolar disorders, post-traumatic stress disorder, anxiety disorders, phobias, attention and hyperactivity troubles, grief and loss, psychiatry issues due to chronic medical conditions, and psychotic disorders. Dr. Patel does not specialize in treating geriatric patients and substance abuse or dependence patients. Dr. Patel received his Medical degree from the prestigious NHL Medical College in India. He completed his Adult Psychiatry training from, East Tennessee State University, James H. Quillen College of Medicine. He received his child and adolescent fellowship training from Emory University School of Medicine in 2005. 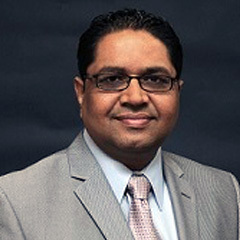 Dr. Patel has been active with the Georgia Psychiatric Physicians Associations- a district branch of The American Psychiatric Association, He has served as past President of the Indo-American Psychiatrist Association. He is a member of the American Association of Physicians of Indian origin. Dr. Patel uses a bio-psycho-social approach for evaluation and treatment. He takes a detailed history about past treatment, including what treatment worked for you or did not. He spends time getting all necessary information to devise treatment plan that would work for the presenting issues. Dr. Patel provides comprehensive psychiatric evaluation and medical treatment for children and adolescents who need treatment for dealing with depression and anger, dealing with violence, behavioral problems at school, eating problems, difficulties adjusting to medical illness, family relationship problems, attention and hyperactivity troubles, development disorders.